The department of Dietetics offers nutritional assessment and dietary advice to patients who are under the care of Ernakulam Medical Centre. 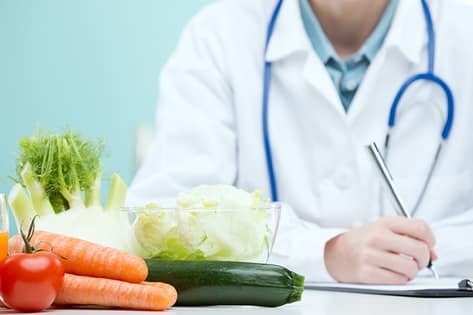 The department headed by a registered dietician, assess all acute care patients with nutritional needs and schedules appointments for out-patients who need help with any diets that are ordered by their medical provider. The dietary services are available prior to and/or during the hospital stay to accommodate any special needs of the patient. The dietitian focuses on proper food and nutrition in order to promote good health. We supervise the preparation and service of food, develop modified diets, participate in research, and educate individuals and groups on good nutritional habits. The goals of our dietitians are to provide medical nutritional intervention, and to ensure that the food provided to the patients in the hospital is safe and conforms to their individual requirement. The dietician safely prepare, and serve and advise on attractive and nutritious food for patients. Dietary modification to address medical issues involving dietary intake is a major part of dietetics (the study of nutrition as it relates to health). For example, working in consultation with physicians and other health care providers, a dietitian may provide specific artificial diet to patients unable to consume food normally. Professional dietitians may also provide specialist services such as in diabetes, obesity, pediatrics, renal disease.